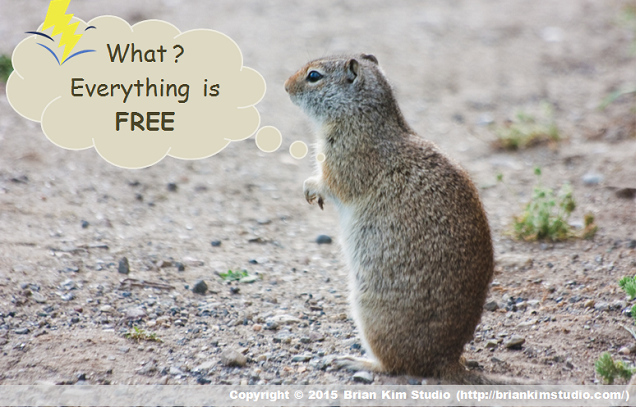 “FREE“–How intriguing the word can be. 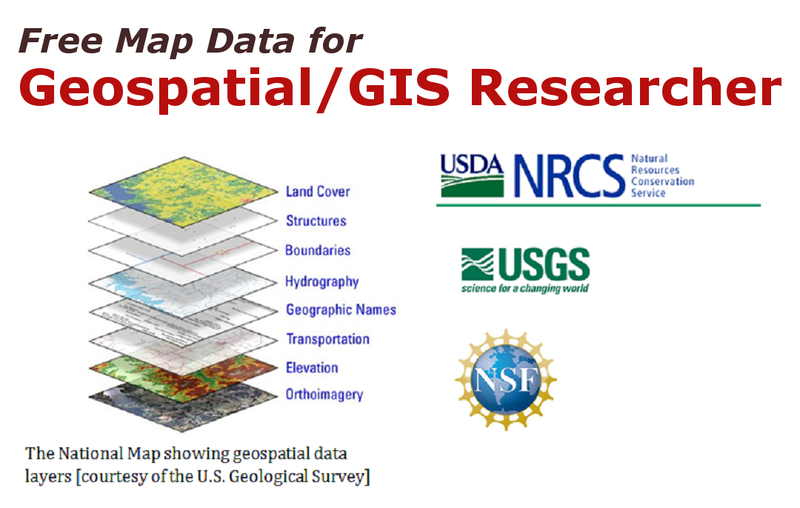 Last time, we have learned FREE data sources for Geospatial/GIS data in US areas (See “8 Free Geospatial/GIS Data Sources for U.S. Areas“). Of course, in order to process those data properly, it is definitely essential to understand basic concepts of GIS & Geospatial analysis , as well as to learn how to process and analyze particular datasets properly. Weekly source for information on Geography and geospatial technologies. Point out how Geography and geospatial technologies is filtering into our digital lives and daily lives. Explain GIS & location-based technology. Provide presentations , discussions on the latest trends, and interesting applications in the GIS, Location Intelligence, and Spatial Information Management Industry. Its contents cover the guiding principles behind the various facets of GIS , including spatial data types, spatial database development and management, and spatial analysis, etc. The website provide free access to parts of learning materials (e.g., lecture notes, lab exercises, examples,etc.). 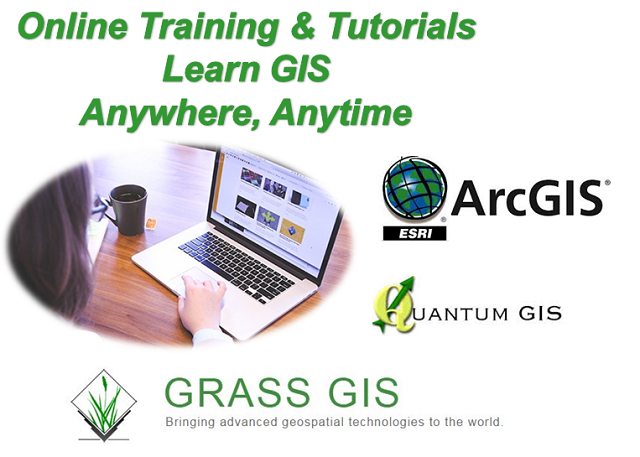 Provide Tutorials for GIS and Web Mapping solutions utilizing open source GIS technologies. Also, demonstrate examples of mapping and spatial database , mostly using Boston, Massachusetts data. 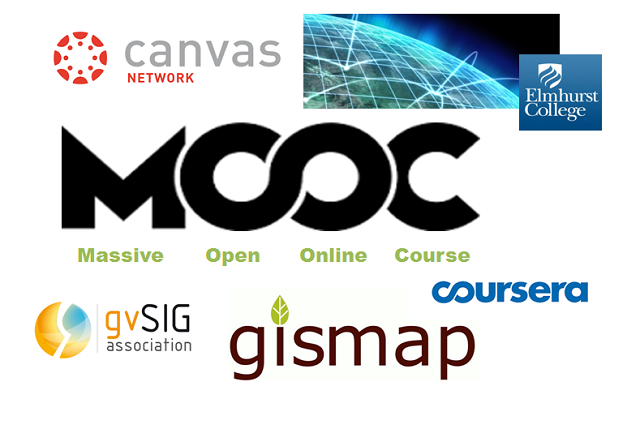 Introductory-level workshops and tutorials for open-source GIS (e..g., PostGIS)/ Geospatial analysis tools. 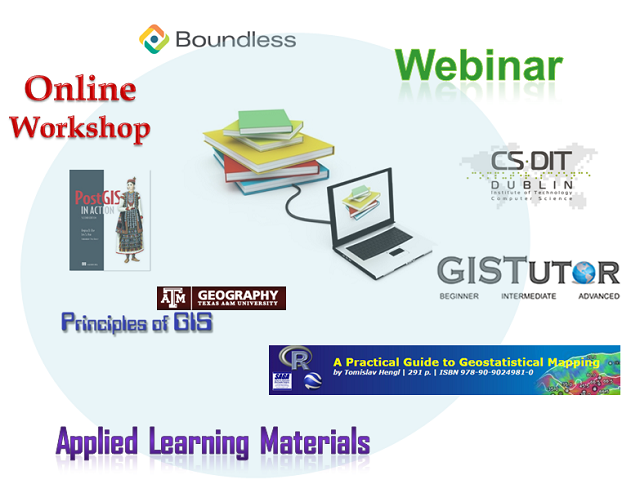 Applied learning materials that illustrate basic concepts, techniques, applications of data mining for geospatial databases. Applied learning materials (e.g., lecture notes, lab exercises, & examples, etc. ), dealing with spatial databases. A Practical Guide to Geostatistical Mapping: Downloadable book chapters, example datasets, and even sweeter–R code for geospatial statistic analysis. It consists of a three-part movie accompanied by hands-on exercises using ArcGIS. It contains 7 lectures that deliver knowledge on risk and disaster management , demonstrate implications of geo-information technologies in emergency response, and motivate learners to seek practical solutions for real-life problems. Each lecture contains slides, additional lecture notes and readings. Offer in-depth materials on spatial database management, including materials on the tools needed to work in spatial database management, & the applications of that data to real-life problem solving. Also provide exercise examples and tools for working with SQL, as well as sample database sets. Contain lab exercises and a workshop setting learning materials that develop a solid understanding of the planning & public management uses of GIS. A wide variety of courses are provided. Please refer to the link for further detail. 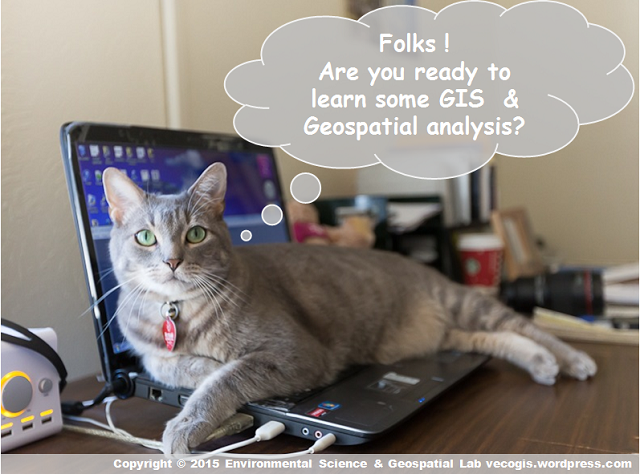 Provide tutorials, definitions and resources for GIS/Maps/ Satellite tools. * OpenCourseWare(OCW) is an online learning platform widely used by higher education institutes (e.g., MIT, Penn State University, UC Berkeley,etc.) and often made course materials publicly available via Internet. However, there are catches for learning from them right now– Parts of contents may be dated (especially for advanced technical approaches and practical examples), while the underlying principles and concepts are still valuable. Introduce students to GIS, principles of spatial data in their personal life & various industrial applications of GIS. Major components include computer representation of geographic information, the basics of GIS databases, spatial analysis , & practical application of GIS. Provide a rich introduction to the booming technology field of GIS. Students will learn the fundamentals of GIS and how to build digital maps using open source software that allows free unlimited use for private or commercial applications. All data and software required is included . Discover how to make maps and analyze geographic patterns using the latest tools. Learn how the revolution in geospatial technology combined with the trade-craft of Geospatial Intelligence (GEOINT). Also, discover the power of GEOINT (e.g., how we develop insights about how humans use geography). Contain 3 modules for gvSIG users, including: (1)Module 1: Introduction to GIS; (2) Module 2: Layer Editing;(3) Module 3: Raster Analysis. Introduce what location technologies are used for, how the discipline developed and learn by doing via a series of scaffolded practical exercises. Online spatial software will be employed for any device using a browser which takes users through exercises and real world examples. Following sources are bonus, which I find them useful regarding my expertise . However, some contents could be quite focus on particular fields. 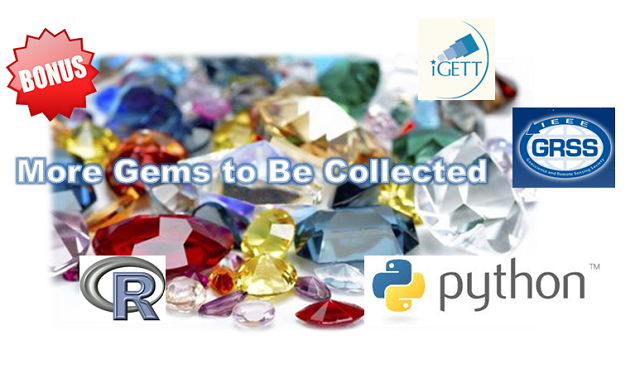 Thus, explore them by yourself and see whether any more “GIS / Geospatial” gem you can collect. Python offered by Codecademy: This course is great for coding beginners. The instructional interface is interactive with a well-organized flow. I really learn how to write a basic Python code. Esri offered 3 free ArcGIS -related, Python training: (1) Python for Everyone; (2) Creating Desktop Add-ins Using Python (for ArcGIS 10.1); (3) Creating Python Toolboxes Using ArcGIS 10.1. It is a combined list of 10 courses. You can tell that the curriculum design is for a “data scientist,” not a “GIS or Geospatial” analyst. However, some contents are quite useful if you are interested in collaborative development of GIS databases/projects via Github or perform hard-core spatial statistical analysis using R.
To answer all questions completely, there are many ground of bee biology to be covered. 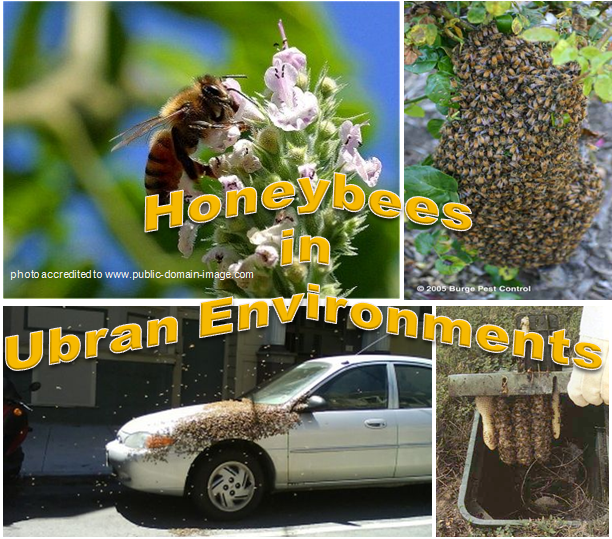 Thus, here comes the 10 Bee-ware-Bee-Safe FAQs that summarize basic knowledge about Africanized honeybees and provide useful tips to be “bee-safe” in urban environments as Tucson, Arizona. 1. Do honeybees usually act aggressive and attack humans randomly? NO, honeybees WON’T sting people randomly, the incident should be agitated by reasons. Honeybees in foraging (a.k.a. food-searching mode) or in swarm (a.k.a. relocation mode) usually mind their own business and WILL NOT attack you unless they are getting disturbed (e.g., stepping on them)[2, 3]. They only show intense defensive behavior (or so-called “acting aggressive”) when defending their hive or colony [2, 3]–Honestly, I won’t blame them, because they are just being protective. I would also get mad if anyone intrudes my precious home. 2. What are Africaned honeybees? Africanized honeybees (AHB) are a hybrid between African (Apis mellifera scutellata) and European honey bees(Apis mellifera)–also known as western honey bees (EHB) . The first hybridizations occurred in Brazil in 1957 [5,6]. 3. Is AHB a U.S. native species? If not, how do they move (or be moved) into U.S. ? NO, AHB is NOT a U.S. native bee species. Actually, even EHB is NOT U.S.-native, either. Long time ago, EHB are imported to North America and South America for bee keeping purposes [3,4,5]. In the 1950s, African honeybee queens were first to Brazil in order to increase honey production by interbreeding African and European bees. Before the controlled hybridization could be accomplished, swarms escapes accidentally, leading to the formation of feral bee populations [5,6]. Since then, the AHB spread out at approximate rates of 300-500 km per year. The northward route propagated through Central America, Mexico, and then into the United States [3,7,8]. The first reported colony of AHB in U.S. were found in October of 1990 at a border town of Texas . 4. When was the first appearance of AHB in Tucosn, Arizona? The first appearance of AHB in Tucson, Arizona was documented in 1993 . 5. Are AHB and EHB the same species? Yes, AHB and EHB are the same species that present a few different behaviors [3,5]. 6. Can we tell who-is-who by looking at them? If not, how to identify AHB and EHB? NO, it is hard to distinguish an AHB from an EHB by simply looking at them. It will involve more detail scientific experiments to differentiate them, such as mitochondrial DNA or detail morphometry analysis [3,11]. 7. As AHB is called “the killer bee,” does it mean that it cause more danger than EHB? A nickname as “the killer bee” may sounds fancy but just miss-leading. Again, neither EHB nor AHB will initiate attack unless getting disturbed. The sting of the AHB is NOT more toxic than EHB. However, AHB does present more intense defensive behavior. They respond quicker and chase intruders further with larger numbers when colony is threatened (See Figure below). 8. If honeybees could cause danger in urban areas, can we kill them all? Definitely, NO! We need honey bees for environmental sustainability and our well-being. Honeybees contribute to pollination for 75 % of leading food crops worldwide, promoting 35% of global food production [12, 13]. In the United States, honeybees pollinate about one-third of flowering food crop species (such as, apples, nuts, broccoli, squash and cucumbers, citrus fruit…etc.) as well as animal-feed crops . They account for the contribution of more than 24 billion dollars to the United States economy [12,13]. Essentially all flowering plants in our gardens need bees to survive. We all need fresh food supply and adore beautiful gardens. Is it obvious that we have “mutual interests” with honeybees? Hence, let us find a way to “peacefully share living spaces” with each other. 9. Who are At-Risk groups of AHB-stung incidents in urban areas? People with higher chances to interact with bees , such as utility workers , military, outdoor activity enthusiasts, etc. People incapable of escaping quickly (e.g., children, elders, the handicapped, etc.) or with medical conditions (e.g., allergy to bee sting). Animals at risks: tethered or restrained animals; penned, caged, or corralled one (i.e., cannot run for life). 10. Any quick tips of bee-safe in urban ares? 10 stings per pound of body weight could be life-threaten for a child while 100 stings per pound of body weight is potentially fatal for a healthy adult. Allergy reactions (Anaphylaxis) can lead to more rapid onset in sensitive persons. The best safety advice is to avoid danger before it happens. Thus, be alert for bees coming in and out of an opening such as a tree hollow, or the hole of an utility box. Pay more attention when moving junk that has been lying around. Be alert for bees that are acting differently. In general, bees will present some preliminary defensive behavior before initiating full attack. They may fly or/and buzz around you. These are warning signs that should be taken seriously. They are telling you that you are stepping into their comfort zone–Thus, PLEASE BACK OFF! Examine and be aware of surroundings when you are outdoors, especially in a rural area, a park or wilderness reserve. Don’t panic if seeing a few bees foraging in the flowers. Don’t do anything outrageous, such as stepping on them or hitting them. Wearing light-colored outfits. Experience has shown that anything in dark color tends to draw bees’ attention. Avoid wearing floral or fruity fragrance or skin-care products. Bees are sensitive to odors. Don’t make them mistake you as “potential food sources”. Bee-inspected & Bee-proof for your house! First, let professionals handle it! If you do find a bee swarm or colony around , leave it alone and keep your family and pets away. DO NOT try to remove them by yourself. Contact local experts to deal with it first! If you hear the hum of active insects, there could exist a colony. 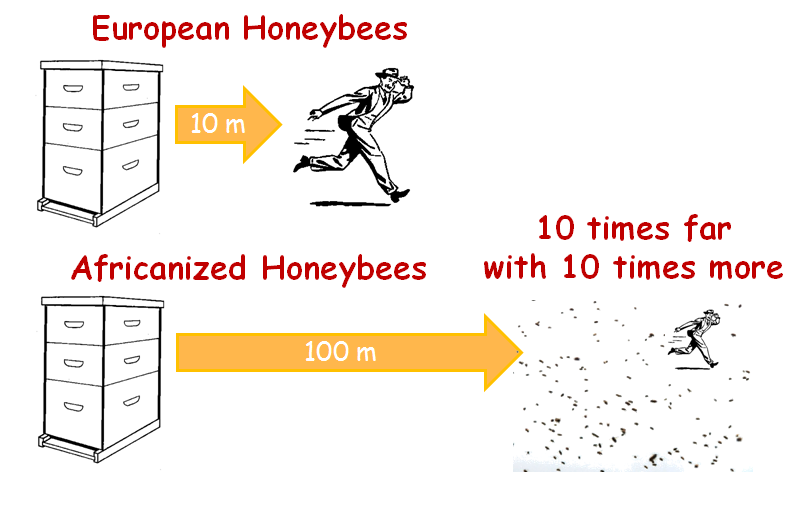 An established colony could contain large numbers of bees entering or hovering in front of an opening, which increase potential risks of getting stung. Again, call local experts to deal with it. Inspect your house and yard at least once a month to see whether any signs of bees taking up residence–inspect low for colonies in or at ground level (e.g., water meter box); inspect high for colonies under eaves or in attics. Eliminate shelter! To help prevent honeybees from colonizing in your house, here are actions that should be taken: fill all cracks and crevices in walls; fill or screen holes with a diameter larger than 1/8″ on trees or in the ground; screen attic vents, irrigation boxes, and water meter box holes; remove junks that could shelter bees, fill animal burrows, etc. Be runner when bee attacks! Run ! Run! Run! A famous Chinese old saying states “Of the thirty-six stratagems, fleeing is the best.” Here is the same. Once bees get agitated, the most important thing to do is RUN away as fast as, as far as possible. Try grab something (e.g., blanket, towel, coat, etc.) to cover your body, especially for your head and face. If you have nothing in hand, pull your shirt up to cover face and head first. It would be far less serious if you have bee stings on the chest than those on the facial area. Try to find a shelter as soon as possible. DO NOT jump into water! Unless you are a swimmer and in good physical conditions (e.g., you may become weaker after running and getting stung), it could lead to another accident. Also,bees may wait for you to come up for air. Once away from the bees, take a second and evaluate yourself. If you have been stung more than 15 times or are having any symptoms other than local pain and swelling, seek medical attention immediately. Last but not least, if you see someone else being stung and possible in danger, call 9-1-1 immediately. PBS (2009, July 20). Silence of the bees: Impact of CCD on US agriculture. 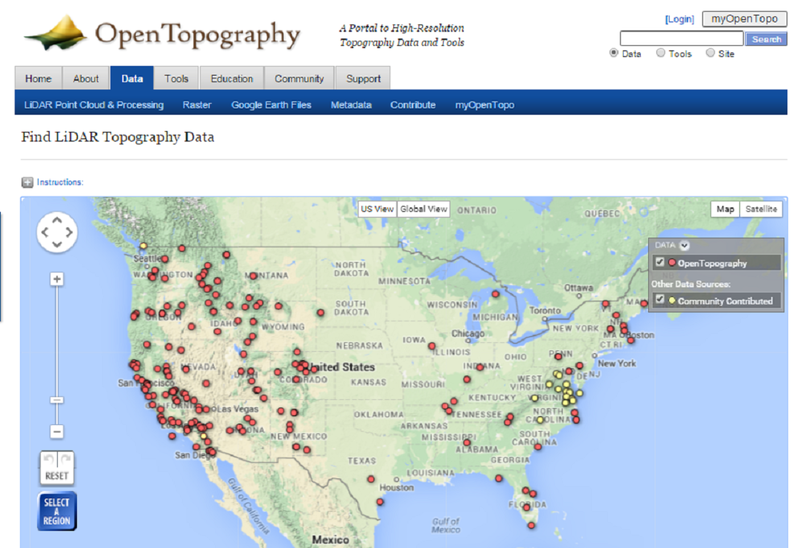 Where to Find/download Free Geospatial/GIS Data for Locations in the United States? 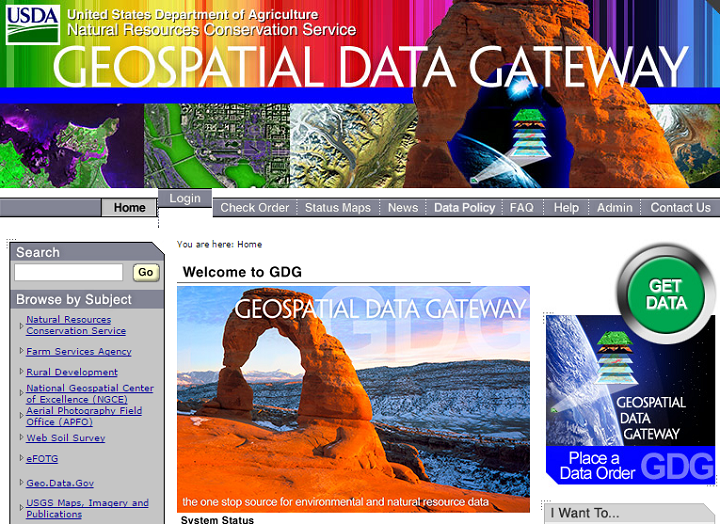 It seems to be a “sweet dream” if all Geospatial/GIS data could be found and downloaded freely in one single website. Unfortunately, life is hard, and sometimes the dream never come true. Features: GDG is the One Stop Source for environmental and resources data, which allows users to explore, browse, select data based on customized needs, particularly obtained by states, by counties, by place, by Latitude/ Longitude, and even by custom Area of Interest (AOI) with the interactive map. Selected data can be downloaded (free) or shipped on CD or DVD (may cost money). Data Contents: Environmental and natural resources data, such as climate PrismRaster, Census block data, elevation, hydro-geographic map, land cover, land use, soil survey, transportation routes, topographic image, etc. Data Formats: Raster and remote sensing imagery –provided in their native format; vector layers–ESRI Shape or ESRI File GeoDataBase. Features: The download platform allows to view and download the most current topographic data from the USGS and other federal, state, and local partners freely.The National Map viewer allows visualization and identification queries (but not downloads) of other featured data, such as Ecosystems, Protected Areas, Gap Analysis Program Land Cover, Wetlands, National Park Service Boundaries, etc. Data Contents: Provide data from 8 primary data themes — Elevation, Orthoimagery, Land cover, Hydrography, Geographic Names, Boundaries, Transportation, Structures, while maps include: US Topo and Historical Topo. Data Types: wide variety of vector and raster data. Features: USGS EarthExplore provide access not only to one of largest databases of satellite and aerial imagery but also to remote sensing data worldwide. Users can query data by enter an address or place name, coordinates or click the map to define your search area, and/or choose a date range. Data Contents: Provide satellite imagery data, aerial photography, elevation and land cover datasets, digitized maps, and USGS Image Gallery collections. 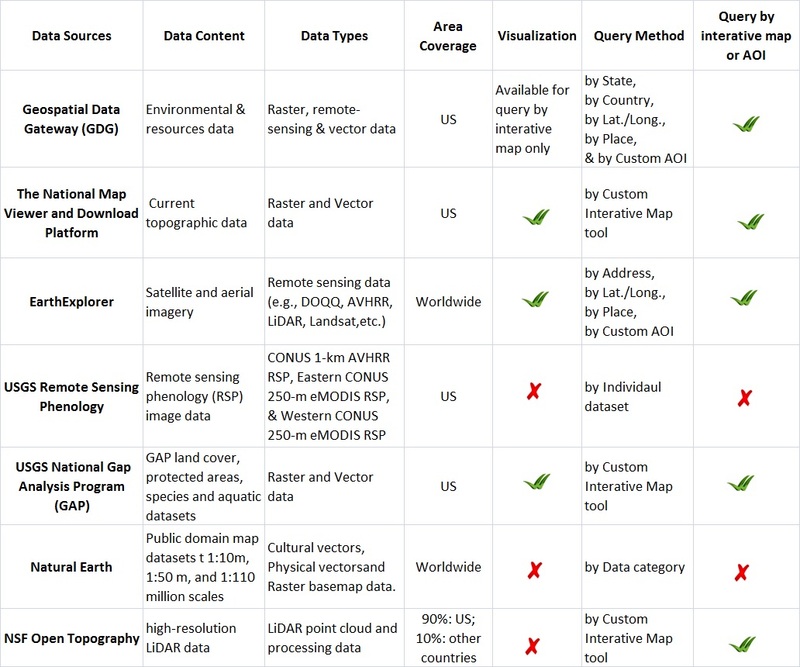 Date Types: Remote sensing data–e.g., DOQ, AVHRR, LiDAR, etc. Features: It applies remote sensing technology to track seasonal changes in vegetation on regional, continental, and global scales. Data Contents: Provide historical remote sensing phenology (RSP) image data and graphics across U.S. are made freely available from the USGS/EROS Center through this website. Data Types: CONUS 1-km AVHRR RSP, Eastern CONUS 250-m eMODIS RSP, and Western CONUS 250-m eMODIS RSP. Features: GAP is an element of the U.S. Geological Survey and help implement the Department of Interior’s goals of inventory, monitoring, research, and information transfer. This program provides conservation information to the public, so that informed resource management decisions can be made; also facilitate the application of GAP data and analysis to specific resource management activities. Data Contents : 4 primary data sets: land cover, protected areas, species and aquatic. Data Types: Wide variety of vector and some raster data. Features: Natural Earth provides a public domain map dataset available at 1:10m, 1:50 m, and 1:110 million scales, featuring tightly integrated vector and raster data. The best part is that the data is in public domain, which means users have the right to disseminate and modify the data in any matter. Data Contents: Cultural vectors (e.g., counties, states, urban areas, land use, etc. ), Physical vectors (e.g., coastline, land, rivers and lake centerlines,etc. ), and Raster basemap data. Data Types: Natural Earth Vector comes in ESRI shapefile format. Natural Earth Raster comes in TIFF format with a TFW world file. Features: Open Topography facilitates community access to high-resolution, Earth science-oriented, topography data (LiDAR), and related tools and resources, supported by the National Science Foundation (NSF). While download platforms above provide geospatial data across U.S., many state or local governments also provide useful data sources in the regional scale.